At tonight’s council meeting I’ll formally lose my responsibility for community safety in Wandsworth. While I’ve not had de facto responsibility for some time (indeed, since before the annual council meeting) the formality is a milestone. But as a leaving present we have finally gone live with a social media presence for community safety in Wandsworth. 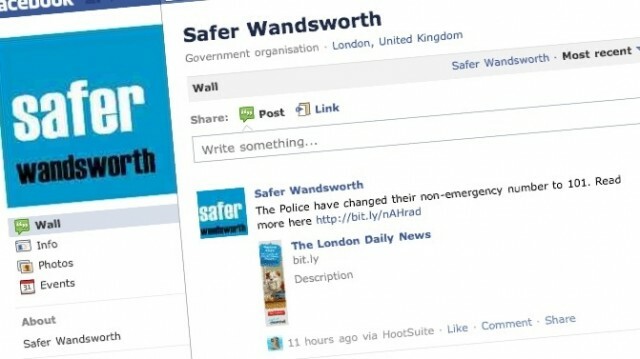 If you are on Facebook you can ‘like’ the Safer Wandsworth page. And if you are on Twitter you can follow Safer Wandsworth. Both are new, but there are big plans for both (and for more) and they will become excellent ways of keeping up-to-date with what’s happening to keep Wandsworth as inner London’s safest borough.